This series of animations aims to induce a meditative state in the viewer, both through the music and through the hypnotic motion of the animations. 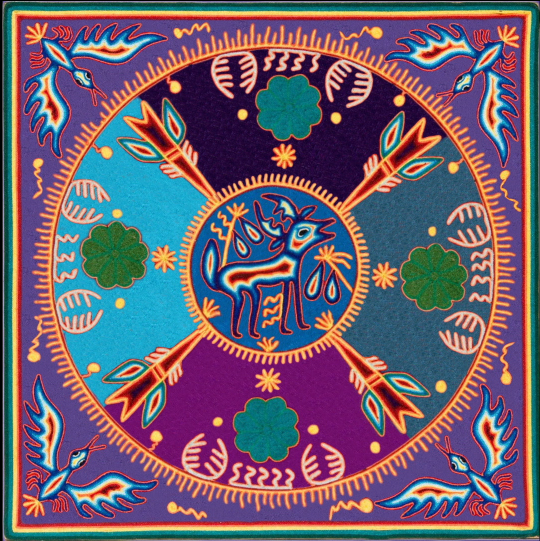 The concept evolved through spending time staring at Huichol paintings and contemplating the dynamic nature of their designs. By giving simple motion to an already dynamic art form, these pieces are meant less as works of video and more as moving paintings.